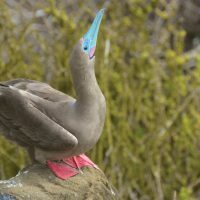 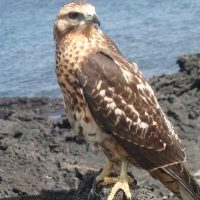 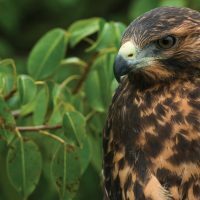 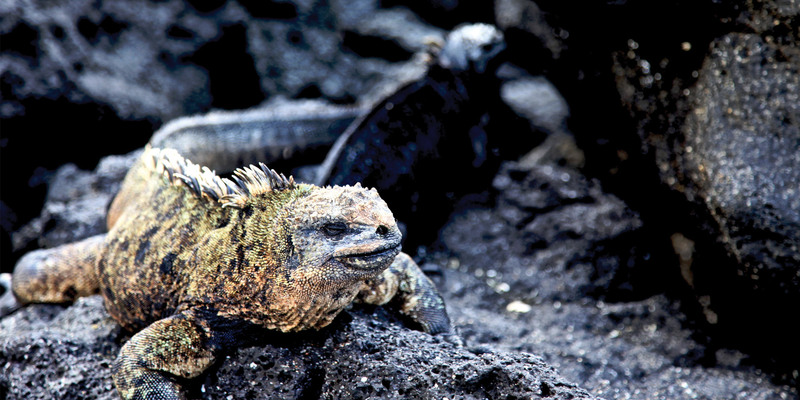 See the following iconic species: Land Iguana, Nazca, Blue and Red Footed Boobies, Giant Tortoise, Sea Lion, Galapagos Fridate, Sea Turtle, Marine Iguana, American Flamingo, Galapagos Pelican, Fur Seal, Darwin Finch, Galapagos Hawk and Mockingbird. 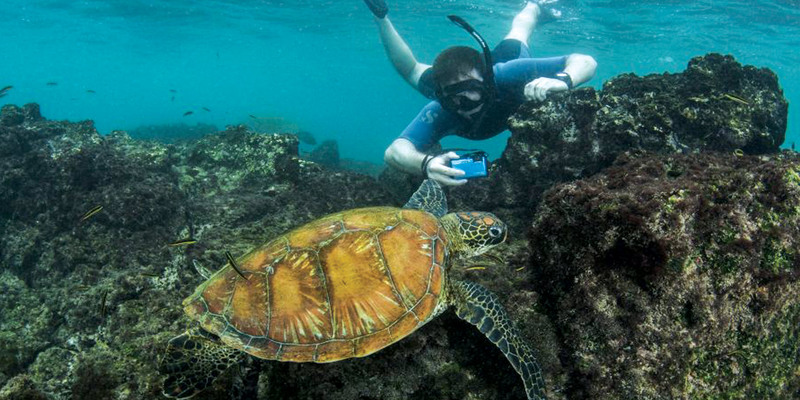 Get the see the famous Giant Tortoises in the highlands of Santa Cruz. 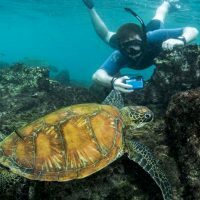 Snorkel in pure turquoise water amongst a colony of Sea Lions and colourful tropical fish. 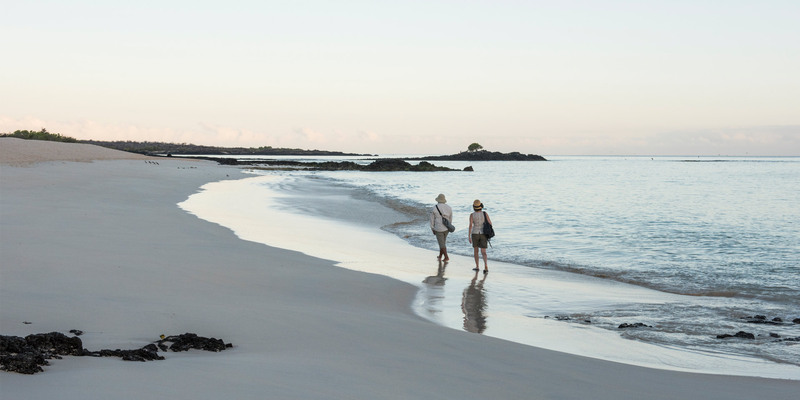 Enjoy and relax at the beautiful beaches that Galapagos offer, magnificent long white sandy beaches. 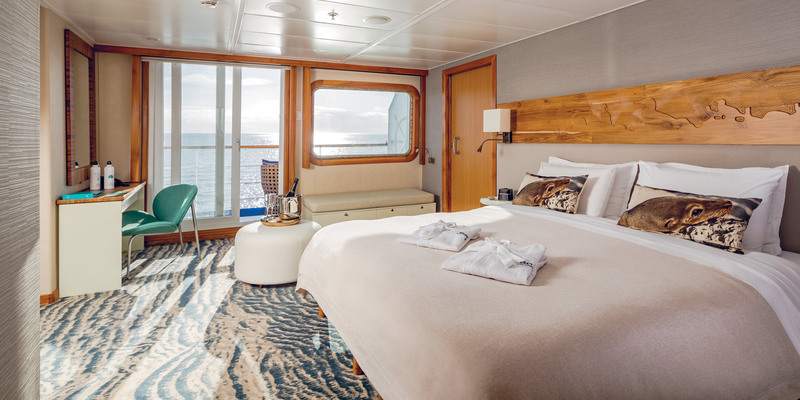 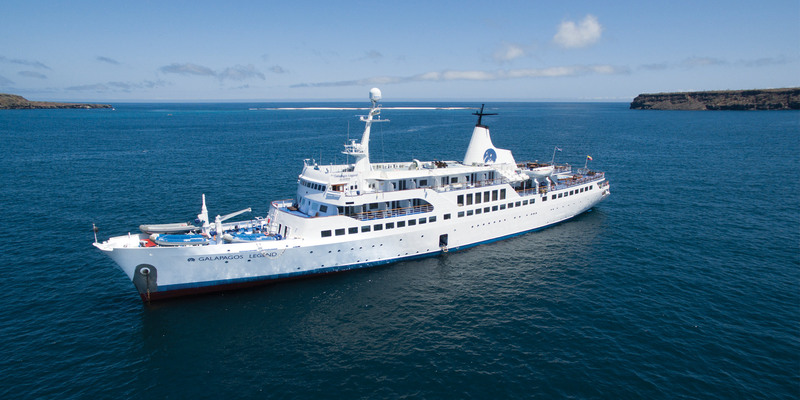 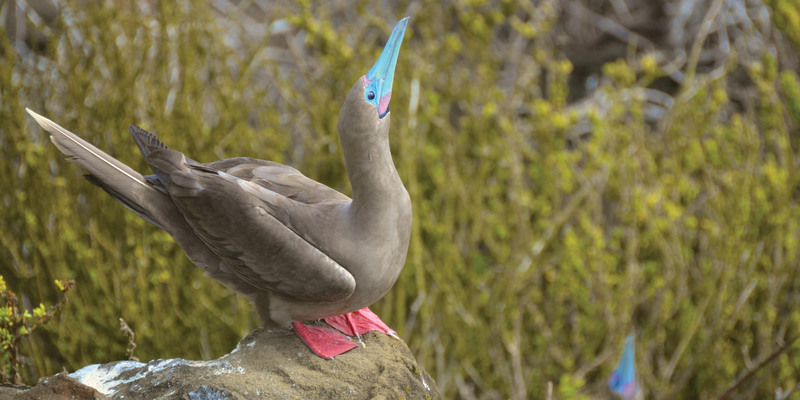 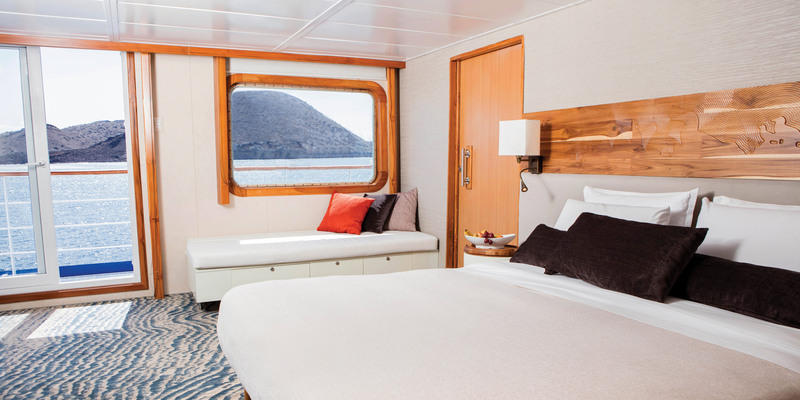 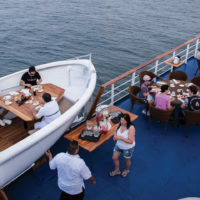 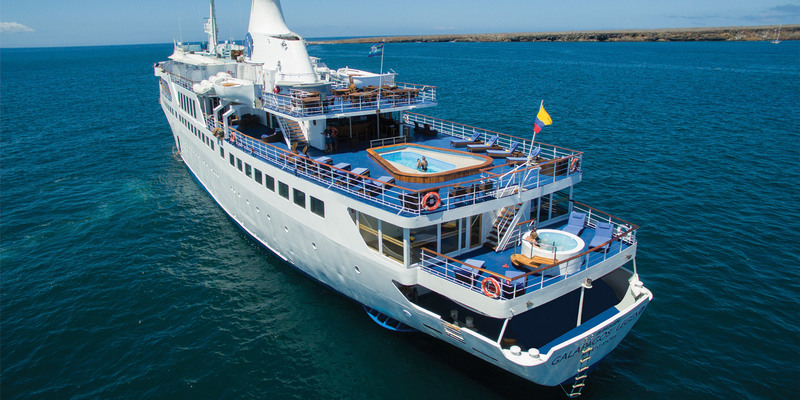 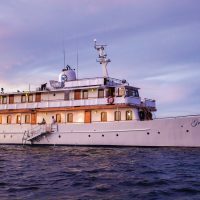 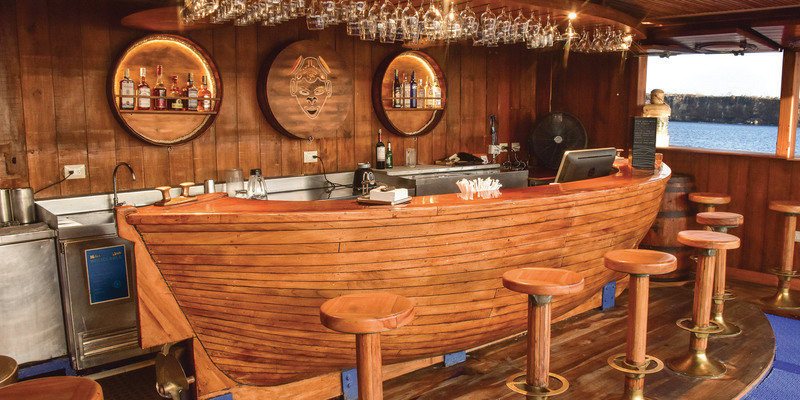 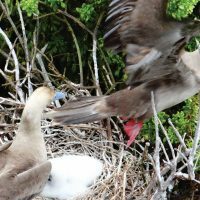 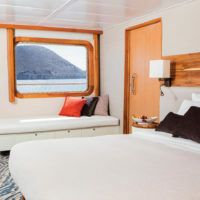 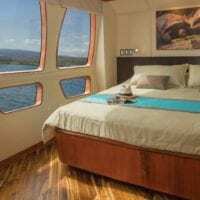 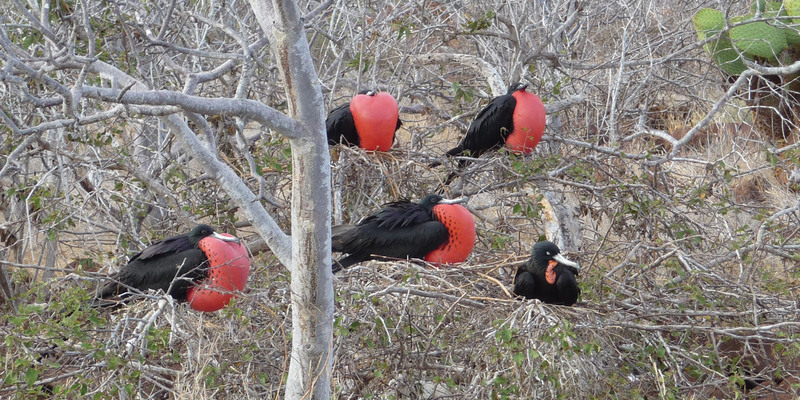 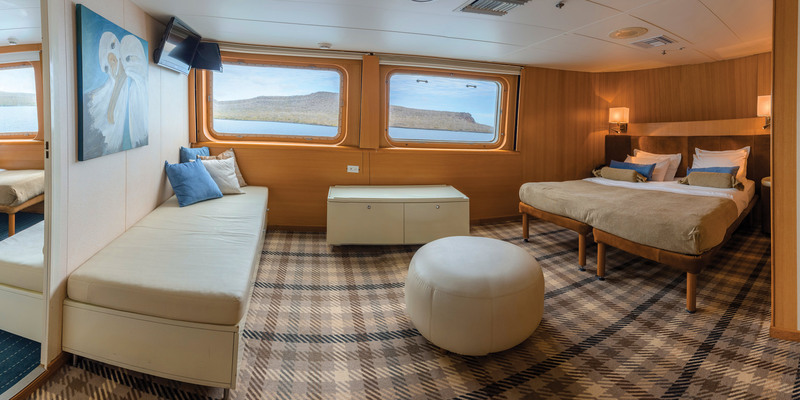 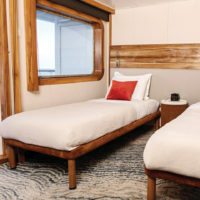 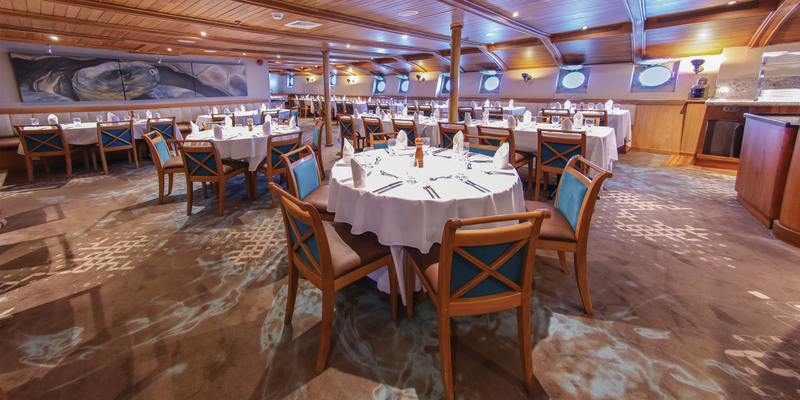 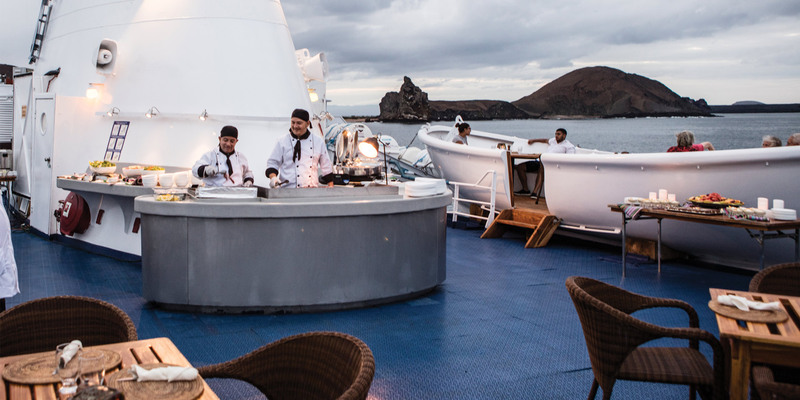 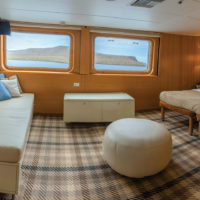 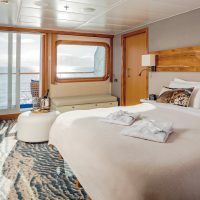 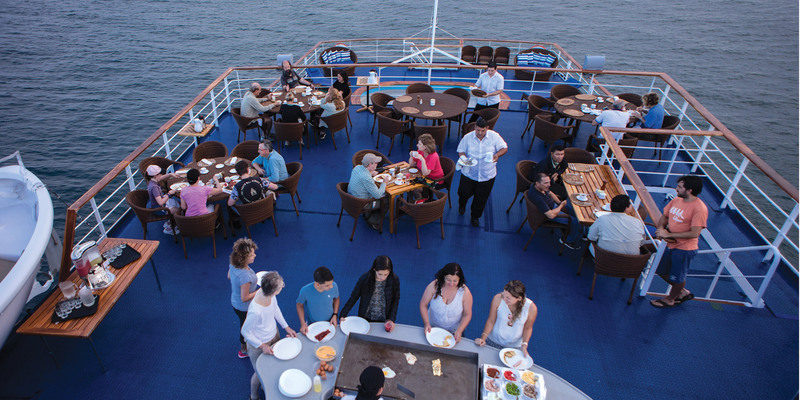 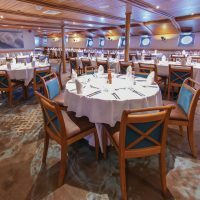 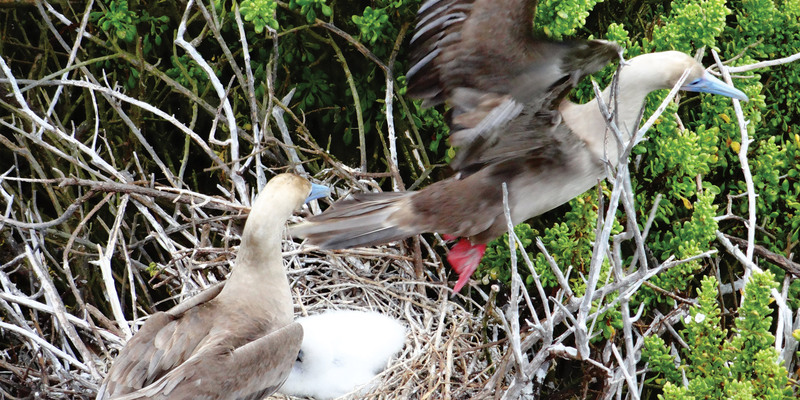 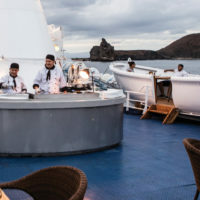 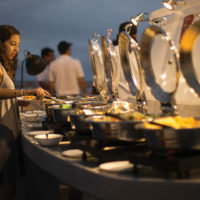 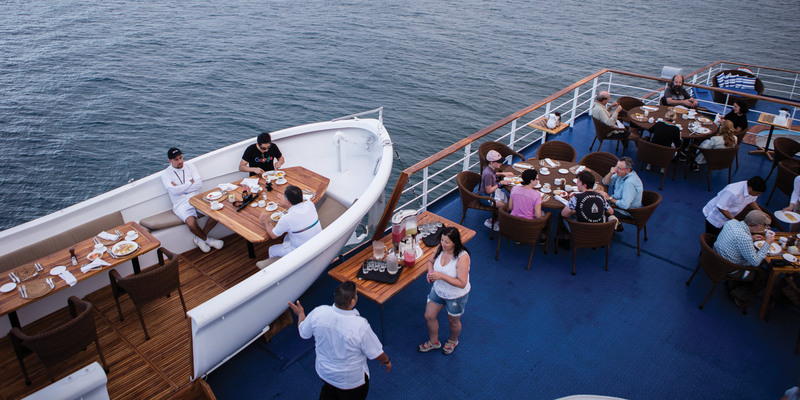 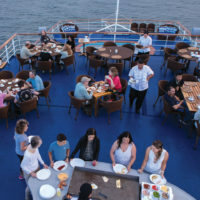 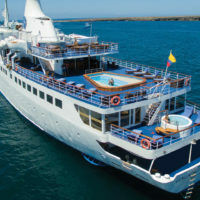 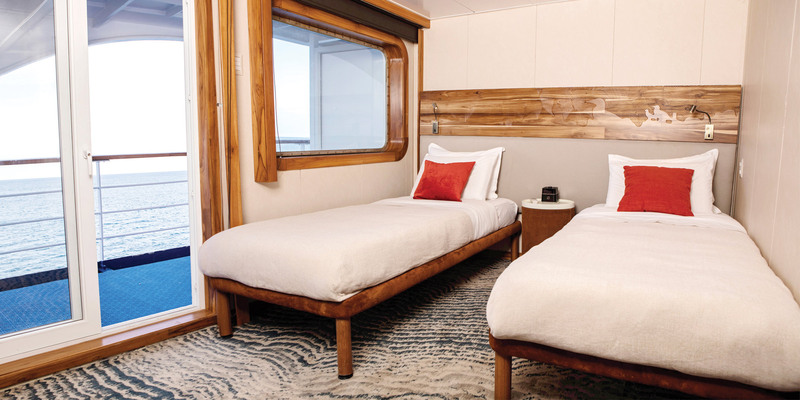 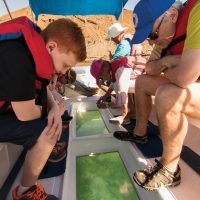 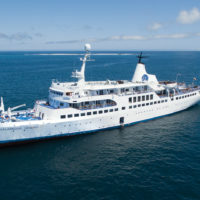 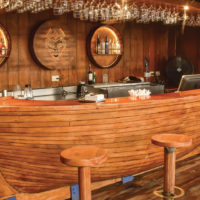 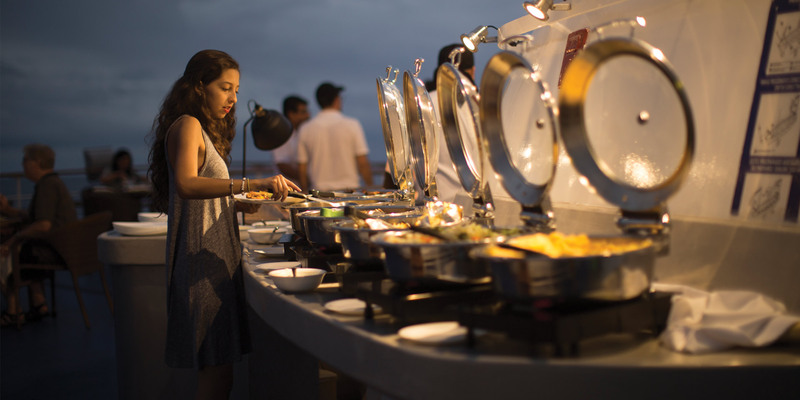 Your Galapagos Cruise includes: Accommodation in selected cabin, all meals, Island sightseeing, naturalist guides and lecture services in English, snorkelling gear, shared transfers in the islands and from main hotels in Quito and Guayaquil. 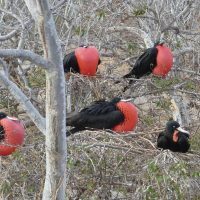 Dry landing. 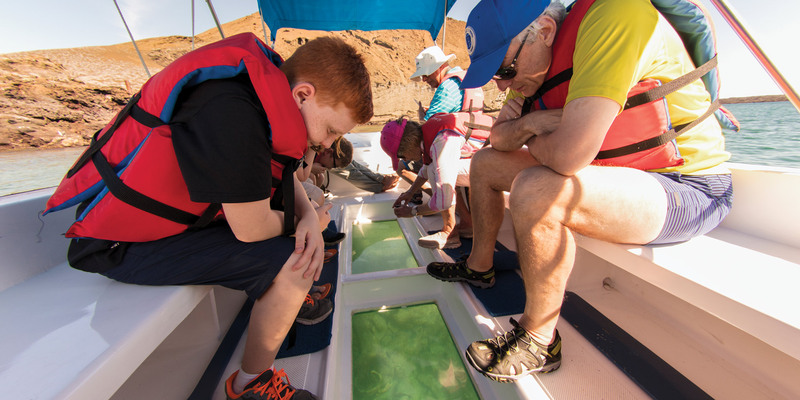 Walk by a brackish lagoon to see flamingos. 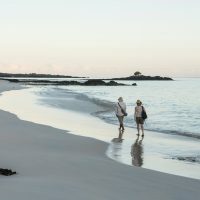 The trail leads across typical dry zone vegetation. 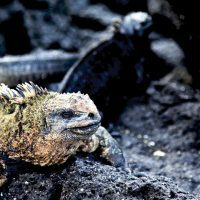 Keeping up until Dragon Hill, see an important nesting ground for endemic land iguanas, offering lovely views of the anchored boats and neighbouring islands. 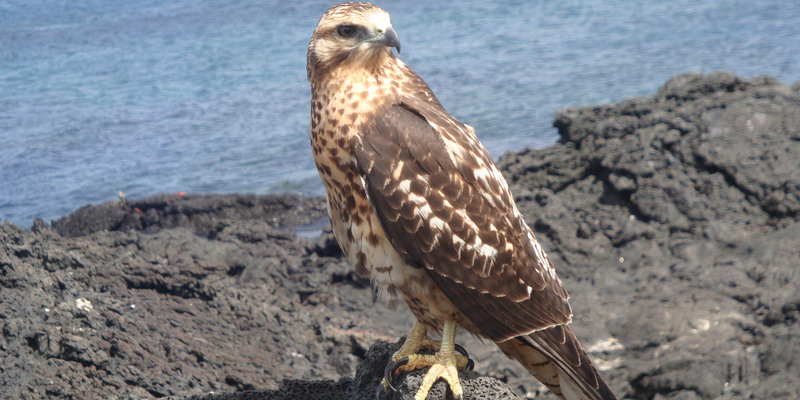 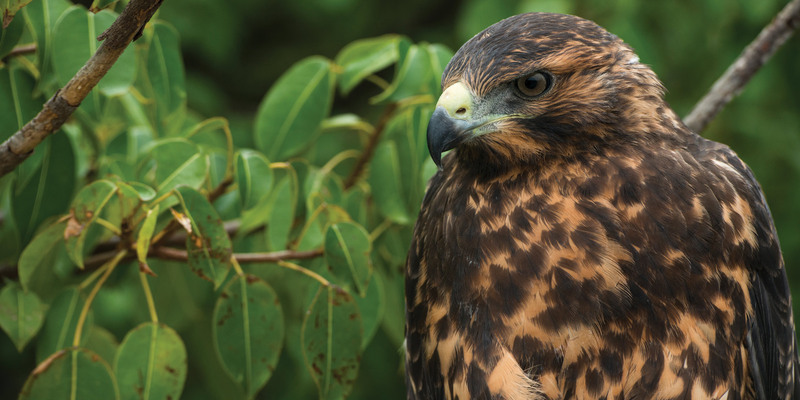 The forest is home to mockingbirds, Darwin’s finches, yellow warblers, and Galapagos doves. 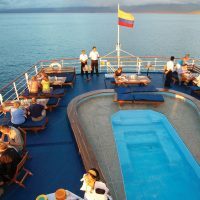 After the visit, you will be transferred to the airport for their return flight to Guayaquil or Quito.